Continued development and dissemination of outreach materials on the risks and regulations associated with moving potentially infested firewood are essential to reduce the spread of invasive forest pests, according to University of Maine researchers. How campers’ knowledge of forest insects affects the transportation of firewood is the focus of a recent study led by John Daigle, UMaine professor of forest recreation management. Results showed informational efforts, as well as direct approaches, such as confiscating illegally transported firewood, issuing warnings or administering fines, are needed to keep the public informed about the dangers of invasive forest pests, including emerald ash borer (EAB) and Asian longhorned beetle. “EAB infestations are located in Maine and in small areas near the northern and southern borders, so planning and management efforts are extremely timely to dramatically decrease the rate of EAB spread into other locations of Maine,” Daigle says. Target populations in Maine are recreational campers, both in-state and out-of-state, as well as people who own camps and those who use firewood to heat their home, says Daigle, lead author of the study that was published in the journal Forest Science in December. Other UMaine researchers involved in the project are Jessica Leahy, professor of human dimensions of natural resources; Sandra De Urioste-Stone, professor of nature-based tourism; and Darren Ranco, a professor of anthropology and coordinator of Native American Programs. Crista Straub of Unity College and Nathan Siegert, a forest entomologist with the USDA Forest Service’s Northeastern Area State and Private Forestry, also contributed to the study. The researchers conducted a survey of 272 campers at 18 campgrounds in Maine, New Hampshire and Vermont. 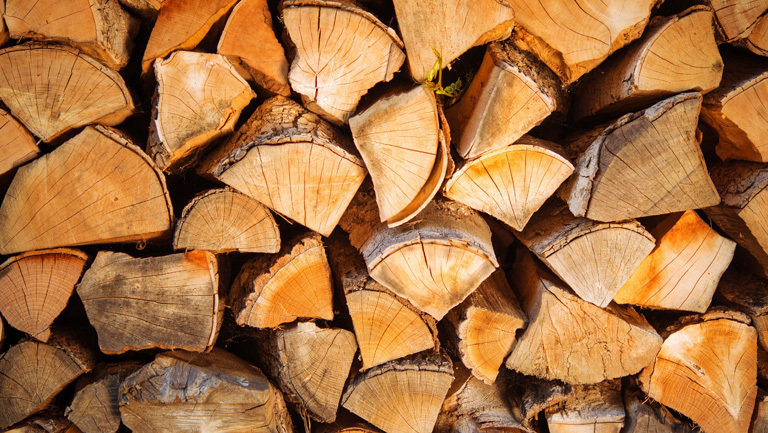 More than 25 percent reported they often or always brought firewood from home for camping. Most — 92 percent — had heard of invasive forest pests, but fewer than 25 percent could give an example without being prompted. In Maine, movement of nontreated firewood from out of state is prohibited. Individuals who bring in nontreated firewood risk having the wood confiscated and being fined. Outreach materials, such as roadside signs, brochures, bumper stickers, public service announcements, and information posted at campgrounds encourage campers to leave wood at home and use firewood that has been locally sourced near their recreational destination. Campers provided suggestions to improve current outreach and education efforts, such as illustrating more of the detrimental effects forest pests have on trees near homes or recreation areas. Most survey respondents indicated they are concerned about invasive forest pest threats, which is consistent with high involvement. However, highly involved campers were just as likely as the less-involved respondents to bring firewood from where they live. Some campers who brought firewood from home gave reasons such as personal savings or no confirmed detections of forest pests where they live, even when acknowledging the risks of invasive forest pests. The researchers determined a need for reassessing the arguments given to campers about leaving firewood at home. New arguments could address the more primary beliefs, such as the gap in time often seen before areas are officially determined to have forest pests, and the costs incurred by campgrounds with the spread of forest pests. The team found there is a critical need for continued research that evaluates outreach efforts to inform the public about invasive forest pests. The efforts should improve recall and behavior of not transporting nontreated firewood long distances. To increase compliance with firewood movement regulations, results suggest that some campers with low involvement who are less inclined to seek out information may need more direct approaches, including random check stations to confiscate, issue warnings, and possibly administer fines for moving nonlocal firewood. The team recommends future research that focuses on individuals who have experienced areas of outbreaks or infestations over several years in relation to their attitudes of bringing firewood from home. The researchers also suggest incorporating positive advances in management practices to control and reduce the spread of invasive forest pests in public outreach materials.